Gov. 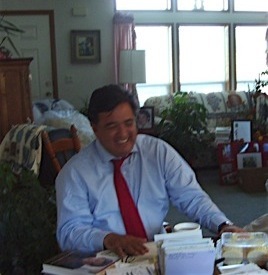 Bill Richardson at the Thelander home in Onawa, Iowa. With great men come great stories. Some can be told quickly, summarized in a paragraph here or wrapped up in a tale’s ending there. Others beg a lifetime to tell. And, as writers like me struggle to convey the ineffable, these great men around us march forward every day to face down countless challenges few ever witness except those whose lives are altered in the wake. I count myself amongst the lucky; I’ve not only witnessed greatness up close, but been allowed time to shine spotlights into lives wrapped by others in red and blue hues that when carefully opened unleashed spectacular prisms against the sky. My rainbow arrived – as most do – after a long hard rain. I’d been sitting at my desk trying to write a chapter’s end to a book I’d hoped to finish weeks before, but words didn’t come so easily these days. They hadn’t really, not since the burglars cut the copper propane lines in my folks’ rural rental home and let it fill with gas to later explode with my stepfather Earl inside. Six days after his funeral when Mom got her invasive breast cancer diagnosis, the words didn’t come any easier. And, after all, with a title like “Kids, Dogs, and Democrats Running Wild: Campaigning for Sanity in Iowa,” readers would expect a healthy dose of humor. My hands hung suspended over the keyboard, waiting for inspiration’s return, when suddenly my office door swung open and I looked up to see my partner, Dennis Ryan, standing there. Frequent interruptions, I learned early on, are standard fare when couples work from home, and more decisively so when both are as actively engaged politically as we tend to be. This time, though, he didn’t come in, and kept his right hand on the doorknob as if he might need to make a hasty retreat. “What?” I asked, my fingers still poised midair. But I recognized the look – the one that always accompanies bad news. I didn’t want any more bad news. “Word is Richardson’s pulling out … calling it quits,” he said. Governor Richardson had walked into my family’s life and given us hope at a time we needed it most. He couldn’t just walk away from a Presidential campaign right when America most needed him. Though Dennis supported another candidate, he’d taken no glee in delivering the news – news that in fact proved nothing more than rumors – because he knew what Richardson’s winning meant to me. The truth is, I suspected Dennis used dissent as a ruse to resurrect the fighter, and the writer, in me, to force me to hit the keyboard running and then stand up and roar to Iowa caucus-goers how a diplomat named Bill and an Iowan named Earl built and crossed a bridge between their two worlds without ever having met. The bridge rises far above and spans well beyond troubled waters, and, always, finds a way to connect all good men. Walk that bridge with me now and I’ll tell you a story. One would think they didn’t stand a chance. She was a lifelong democrat – he a republican. They’d each been married once before; she had five young adult children; he had six. But when Hope Ewing married Earl Thelander 25 years ago today, they agreed to never let politics or anything else come between the genuine love and respect they felt for one another. Nothing ever did, despite the political sticks others often rubbed together at the Thelander dining room table. Whenever smoke began to rise, Earl would loosen his grip around his coffee cup and slowly lower his gaze toward his lap. He wasn’t a man to tear down others – democrat or republican – and didn’t enjoy hearing others do it, either. If he couldn’t say something good or offer constructive criticism, he chose instead to fold his fingers in his lap or rub at the corner of his bad right eye. For 30 years he owned and operated a plumbing and heating business, and it wasn’t unusual for him to take a call at 3 a.m. and head to the country in sub-zero weather to fix a furnace for someone who’d bought the unit elsewhere to save a few dollars. Folks might be cold and need his help, and that’s all that mattered. Whenever he’d finish a job, he’d clean and polish fixtures to a shine and always leave things better than he found them. And, alongside my mother, the two worked tirelessly buying and renovating old buildings into apartments to provide affordable housing in their community. So in the second week of May when the table topic once more turned to Obama and Edwards and whether Hillary could really beat Romney or Giuliani, my stepfather lifted his head to speak and the whole room fell silent. Earl not only was finally going to have his say, but voice his opinion with conviction. His words toppled over me like falling bricks. I hadn’t even told him. I hadn’t told him about meeting Gov. Richardson two weeks earlier at the ‘Give ’em Hell Harry’ event in Denison, Iowa. Or that after Richardson left and the fundraising auction drew to a close I’d discovered the former U.N. Ambassador’s signed book “Between Two Worlds,” and insisted it be auctioned off as well, which I’d won and had begun reading that same night. I hadn’t tried to sell Earl on Bill because I’d feared the Partisan Divide when, in fact, Earl – like all hardworking Americans – really looked for the very same thing in a candidate: courage, honesty, integrity, experience, leadership, and the innate ability to do the right thing without knocking down others to get it done. Suddenly, I couldn’t wait for Father’s Day. I decided to give Earl his gift on Mother’s Day instead. First, I had to wait to get Mom alone. Did Earl’s right eye still cause a lot of pain, I asked? Would he be interested in reading more about Governor Richardson? And what about his latest eye surgery? Had Earl adjusted to reading with only one eye? 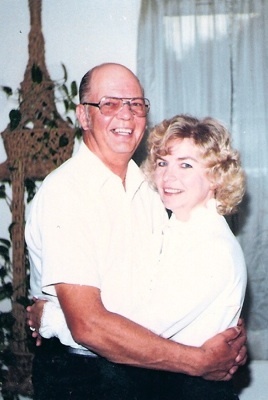 Earl suffered from ocular angina and neovascular glaucoma – the result of a blocked carotid artery that spared him from stroke but eventually cost him his right eye. He’d battled pressure and pain in his eye for years and recently undergone a series of shots to deaden both the pain and, finally, his eye. Yes. That was Mom. A Democrat. Buying Bill O’Reilly’s book for Earl because she knew how much he loved ‘The O’Reilly Factor.’ When she got up to leave she said she’d see me Sunday; for the first time, the family planned to celebrate Mother’s Day in my home. On Mother’s Day I waited until Mom opened her gifts and my siblings had gone to the kitchen before approaching Earl with his early Father’s Day present. He made the usual protests about how this really wasn’t necessarily as he pulled away the wrapping paper, and then he stared at the book’s jacket. “I got it last month when I met Bill Richardson in Denison,” I said. “Once I started reading it, and then especially after what you said, I couldn’t believe how right you were.” I held my breath, hoping he hadn’t changed his mind. “Oh!” he said, genuinely surprised, but then quickly flipped the pages forward again to where he’d wanted to begin. Earl Thelander outside the home where the explosion took place. Yes. That was Earl. More interested in a man’s words than his autograph. He finished reading the first page and was turning to the second when he suddenly looked up and said “Well, thank you!” in the voice I’d sometimes heard him use when surprised by an unexpected gift or deed. The party went on all around us, and though I pretended not to notice I couldn’t help but sneak an occasional glance toward Earl, still reading the book, until he finally set it aside to join the family for the rest of the Mother’s Day celebration. Before he and my mother left, he clutched the book to his chest, leaned close to me and said “Thank you” again, and looking into his one good eye I saw it very clearly; he hadn’t changed his mind at all. Three months later, I sat at my desk fighting a stubborn late summer cold when sirens began wailing outside my window. “Can you hear that?” I called out to Dennis. “It must have been a pretty bad accident.” Moments later the phone rang and he walked into my office, phone still in hand but hanging at his side. “It was your grandparents’ old house in the country … it blew up,” he said. In the E.R. – before doctors placed him on a respirator for the swelling they knew would accompany second- and third-degree burns over 80% of the body – Mom and my siblings and step-siblings filled the hospital corridor and took turns going in to visit with a good man and father and husband who’d been hurled into a corner in a basement explosion and then stormed his way through a ball of fire and driven himself home to the woman he loved and with whom he’d shared his life for 25 years. A white sheet covered his body up to his neck, and through lips anointed with salve he joked with my mother and me as we waited for the Life Flight helicopter that would transport him to Omaha’s Clarkson Burn Unit. “Everyone will think I’m trying to steal all the attention away from your mother before she goes in tomorrow,” he said, referring to Mom’s impending breast lumpectomy scheduled for the following morning. “Oh, Honey,” Mom said, “Nobody’s thinking that,” and as we laughed in that unsettled way one does in an emergency room, I saw Mom’s hand instinctively reach out to touch him on the arm and then draw back at the last moment when she remembered what they’d said about the slightest brush against his skin. The second day, family suggested I stay home. Even with gowns and masks worn into the isolation unit, my cold and cough carried risks of spreading germs. I agreed, and said I’d keep the phone close to me all day. They promised they’d call if there were any changes. When the phone rang mid-morning, I grabbed it instantly but it wasn’t the hospital calling. The phone trembled in my hand as I explained what had taken place and why I wouldn’t be attending, and when I spoke Bill Richardson’s name aloud and tried to convey the impression the New Mexico Governor had made on my stepfather, Earl Thelander, I suddenly lost my footing and surely would have fallen if not for the calm yet compassionate reassurance from a woman whose instincts to discern a watershed mirrored those of the man she’d chosen to represent. She’d worked with Gov. Richardson in the past, Mary told me, and considered him a friend – one who would want to know about Earl and what had happened to him. Would my family mind if he placed a call to the burn unit to speak with Earl, she asked? I told her he could try, but doctors had my stepfather heavily sedated due to pain. Earl, I felt, would have enjoyed hearing from Bill Richardson, but my mind linked the call to one fundamental factor: hope – how we prayed and held out hope that this man who’d been such an integral part of all our lives would open his eyes and return again to the children and wife he so loved. Early evening on the fourth day as we reached for masks and gloves and gowns, hospital staff gently touched our arms and shook their heads, and we abandoned the protective wraps – along with our last hopes – to gather ’round Earl and say our final goodbyes. Later that night when we returned to my folks’ home, we stared at fragments of two lives frozen in time … Earl’s partially filled coffee cup on the place-mat where he left it Tuesday … and toward the table’s center, his pill bottles lined up as neatly as small soldiers … and in the living room on the end table next to his chair, two books – Bill O’Reilly’s “Culture Warrior” and Bill Richardson’s “Between Two Worlds” – each with a bookmark three-quarters the way through. He’d been reading both of them. He’d been between his own two worlds yet never had the chance to reach the end of either. In her short story “A Good Man is Hard to Find,” Southern writer Flannery O’Connor (1925-1964) contrasts man’s violent actions with the role she believes God’s grace plays in ordinary peoples’ lives. In the days following Earl’s death as I questioned that which separates damage wrought by strangers with other men’s veritable kindness, my mind returned – again and again – to this disturbing yet powerful story set at a crossroads where ideology and desperation collide. Was there any way we as a family – let alone a nation – would ever be able to reconcile the two? The answer, in part, arrived as quickly as it took Bill Richardson to come to Onawa, Iowa. He hadn’t been able to get to know Earl Thelander, but that didn’t stop him from wanting to meet those who had. 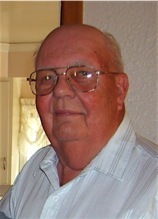 His staff promised there’d be no press; “Governor Richardson,” his Iowa Political Director Dave Rogers explained, “just wants to meet with your mother and family and offer his condolences and learn more about Earl.” My mother agreed to the September 13 visit, despite her breast lumpectomy scheduled for the day before. A week had not yet passed since Earl’s funeral, but on September 12 my family and I sat in another waiting room absorbing words like breast cancer and biopsy and mastectomy and decisions to make. 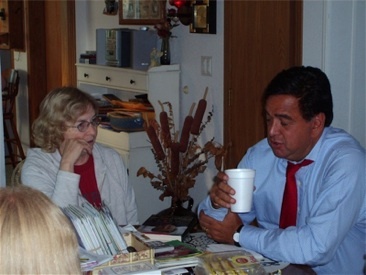 Back at her house that night I told Mom it wasn’t too late to cancel Bill Richardson’s visit. When Gov. Richardson arrived the next day, I approached his vehicle before it stopped in the driveway. And as this giant of a man climbed out, I sized him up, met his eyes, and spoke to him as if I’d always known him. He nodded like an obedient child, stood up tall, and then headed straight for my mother. “I understand I’m not supposed to give you a hug,” he said, but when my mother smiled he hugged her anyway and I realized nothing could separate the connection they already shared. Once inside the house, the Governor pulled out a chair at the table but then hesitated just before sitting down. “Is it okay to sit here?” he asked. And my mother nodded like he’d done outside and explained to him as he sat down in Earl’s chair why my stepfather always chose to sit there where he could watch the birds and squirrels approach the feeders he’d put outside the patio door on the deck and in the yard for them. Bill Richardson listened. He asked questions. Tell me about Earl, he said. And we did. As small business owners in rural Iowa, he asked, what problems had Mom and Earl faced that differed from those in more metropolitan areas? Mom told him. 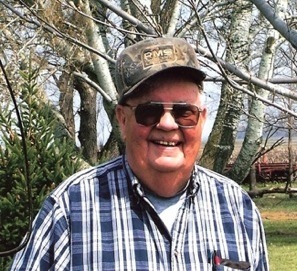 He nibbled on cookies we’d purchased from Onawa’s single remaining grocery store – there’d been several markets from which to shop during my childhood years – and listened to concerns about our community’s growing number of vacant buildings. He learned of the book I’d given to Earl on Mother’s Day, and wrote a lengthy message to my mother on the same page as his earlier inscription, circling back up and writing in the margins until he ran out of room. And after we’d told him all about Earl and how much he disliked partisan discord but reveled in the hope and possibilities new leadership might bring, the smoke from our political sticks finally swirled upward once again, and with its rhythmic dance came laughter … Mom telling Bill how they’d first met Teresa Heinz Kerry and the coffee Mom held for her in this very same room and how Earl smiled wide as he posed for photos with Teresa on one side and Mom on the other even though he later missed standing on stage with the Kerrys and several of our family members during the big Sioux City rally. Oh yeah … there were “me’s”everywhere that day. In Onawa. In Sioux City and Iowa City and Cedar Rapids and Cedar Falls, where countless individuals stood before their fellow caucus-goers and drowned out the media and let the people’s voices be heard. I knew we could do it again. I wanted to wink toward the sky. It’d been no accident Bill Richardson found his way into Earl Thelander’s chair in a white house in Iowa.